Addie Marie: We Have A Winner! Congrats, darling; I sent you an email already with details! As for everyone else -- this is a big, fat, juicy-squishy, full-of-love THANK YOU for entering and making my first giveaway a success! (I was afraid nobody would enter, haha. That would be lame and awkward.) I would give you all hugs if I could! & I have plans for more giveaways in the (near!) future because this was ridiculously exciting for me! She's going to ADORE THAT MATEY COUTURE WALLET!! 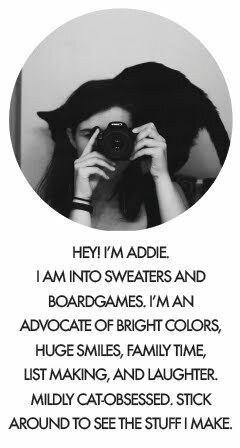 Aww...Addie, congrats on a very successful giveaway! YAY! Tany - :D Thanks, Tany! Again, I can't wait for your giveaway! & tell Adrianne hi for me!